Golden Rule Marble™ is a great corporate gift for clients, vendors or employees. (Akron, OH) Thanks to the new Golden Rule Marble™, we may all move that much closer to accomplishing this widely embraced goal. Available in five tiger-eye acrylic colors (white, black, green, blue and red), the Golden Rule Marble is delicately inscribed with the Golden Rule on a brass ring encircling the sphere. Each one-inch marble comes with a small, double-sided pamphlet transcribed with the overarching message of the rule, all neatly folded into a clear, acrylic box, making it perfect for personal and corporate gifts. The goal of the gift is to serve as a reminder for all who receive it – family, friends, customers or employees – to make personal and professional decisions in light of this great advice. Corporate gifts for employees or customers can be difficult to purchase. Often the giver would like the gift to be particularly useful or meaningful. The Golden Rule Marble makes a great give-away for any business founded or operating on this clear and guiding principal. Since the Golden Rule transcends basic religious origins to a universal doctrine for the masses, it’s a corporate gift anyone can appreciate and be inspired by. When choosing gifts for clients or employees, most try to find one that reinforces the relationship and values of their company. Because the Golden Rule is universal, you can be sure that the person receiving it will align in one way or another with their personal and professional goals as well. The Golden Rule Marble can help you accomplish both giving a gift of thanks and giving a gift that will communicate your company’s values and goals. ValMark Securities was recently looking for a corporate gift to help them share and celebrate their 50th anniversary – or “Golden Anniversary.” The Akron, Ohio-based company decided the Golden Rule Marble was the perfect item to convey their core mission as an organization. ValMark Securities is a national independent broker dealer specializing in equity, investment advisory and risk management products and support services for the nation’s top echelon of wealth transfer and corporate insurance firms. The Golden Rule itself defines ValMark’s fundamental belief in dealing with clients, partners and vendors, so it didn’t take long for the company’s leadership to choose the Golden Rule Marble to represent that belief. If you’re looking for a way to encourage strong moral standards within your organization and promote those same standards to your clients, vendors and partners, call +1.330.686.2472 or visit www.Golden-Rule-Marble.com now. The Golden Rule Marble is a promotional product that serves as a gift of thanks to employees, vendors and clients as well as an expression of corporate or personal values. Available in five tiger-eye acrylic colors, the Golden Rule Marble is inscribed with the Golden Rule on a brass ring encircling the sphere. The Golden Rule Marble was developed and manufactured by Vallmar & Co. (www.vallmar.com), a product development company that has been engineering and developing new products since 1984. For more on the message and history of the Golden Rule, or to order, visit Golden-Rule-Marble.com or call +1.330.686.0020. Golden Rule Marble is a great corporate gift for clients, vendors or employees. (Akron, OH) Our mother’s have been telling us for ages: do unto others as you would have them do unto you. It’s the Golden Rule, one of the most widely-known, most attempted and often failed religious teachings. Thanks to the new Golden Rule Marble, we may all move that much closer to accomplishing this widely embraced goal. Available in five tiger-eye acrylic colors (white, black, green, blue and red), the Golden Rule Marble is delicately inscribed with the Golden Rule on a brass ring which encircles it. Each one-inch marble comes with a small, double-sided pamphlet transcribed with the overarching message of the rule, all neatly folded into a clear, acrylic box, making it perfect for personal and corporate gifts. The goal of the gift is to serve as a reminder for all who receive it – family, friends, customers or employees – to make personal and professional decisions in light of this great advice. Corporate gifts for employees or customers can be difficult to purchase. Often the giver would like the gift to be particularly useful or meaningful. The Golden Rule Marble makes a great give-away for any business founded or operating on this clear and guiding principal. In addition to Christianity, the Golden Rule is referenced in historical documents quoting Buddha, Confucius and Aristotle and is also found in the teachings of Hinduism, Islam, Judaism and Taoism. Since the Golden Rule transcends basic religious origins to a universal doctrine for the masses, it’s a corporate gift anyone can appreciate and be inspired by. 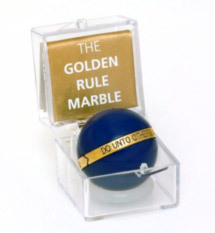 To purchase Golden Rule Marbles, call 888.888.8888 or visit Golden-Rule-Marble.com. A single marble is $19.95 with volume discounts available for higher quantities. If you’re looking for a way to encourage strong moral standards within your organization and promote those same standards to your clients, vendors and partners, call or visit online now. 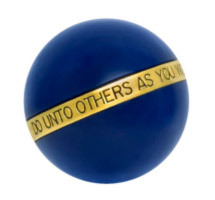 The Golden Rule Marble is a promotional product that serves as a gift of thanks to employees, vendors and clients as well as an expression of corporate or personal values. Available in five tiger-eye acrylic colors, the Golden Rule Marble is inscribed with the Golden Rule on a brass ring which encircles it. Each one-inch marble comes with a small, double-sided pamphlet transcribed with the overarching message of the rule, all neatly folded into a clear, acrylic box. For more on the message and history of the Golden Rule, or to order, visit Golden-Rule-Marble.com. Solution: The Golden Rule Marbletm is a one-inch sphere made of cats-eye acrylic, encircled by a brass band inscribed with the Golden Rule. A large company based in Akron, Ohio, had a specific gift in mind to commemorate its 50th anniversary of doing business. The “Golden Rule” – do unto others as you would have them do unto you – is a principle that has driven the organization for all its years in business. Management wanted to take this concept and turn it into a memorable gift for its employees, customers and partners. The company’s owners had discovered a little marble with the Golden Rule message; but after searching high and low, these only existed in very limited quantities. They needed 2,000 of them! The client wanted the product to be a certain color. They also wanted the marble to look like light was coming from within. The goal was to develop a quality of product to represent a $40-50 value. With regard to functionality, the materials had to also withstand rapid temperature change without cracking. To address the color and “light coming from within” requirements, the Vallmar Engineering team worked with RTP Company to develop a proprietary, custom-blended polymer for the outer layer of the marble. The transparent blue color (now also available in white, green, red and black) was specifically designed to appear to be lighter inside than outside. To give the marble its weight and quality perception, the center core of the marble is a stainless steel sphere, while a hand-finished brass band encircles the entire marble with the Golden Rule inscription running through the brass. 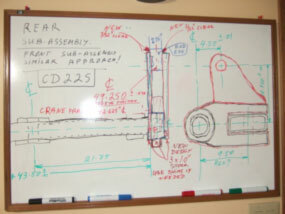 Specifically, the team at Vallmar devised a set of crossed crush ribs to address the possibility of cracking due to rapid temperature change. RESULTS: Vallmar has a worldwide patent-pending status on the Golden Rule Marble. Besides creating a great specific product for the company that originally requested it, outside orders are now being taken at www.golden-rule-marble.com or calling +1-330-686-2472. ABOUT VALLMAR & CO: Vallmar Studios offers inventors the resources they need to give their inventions a fair chance in the competitive marketplace. From prototypes to product management, engineering to licensing support, Vallmar Studios helps inventors manage the process from start to finish. Many inventions fail because precious start-up resources are lost on misguided prototyping or inadequate patent filings. The professional team at Vallmar has nearly 30 years of experience bringing hundreds of products to market. For more information about Vallmar, visit www.vallmar.com or call 800-986-0795. Do you have an idea for a great invention? Are you unsure what to do next? If you answered yes to these questions, you are not alone. Many inventors simply do not know where to turn for the right guidance, development and management to make an idea a reality. Most inventions fail because limited investment resources are erroneously spent on unnecessary and expensive prototypes and patent filings – before their idea is developed into a viable business concept. Experienced professionals at Vallmar Engineering provide inventors with initial analysis of an idea, realistic Return on Investment (ROI) expectations, as well as time and cost savings throughout the product development and management process (PDM). Think of Product Development and Management (PDM) as the process that takes place once you have an idea or invention. Taking proper steps toward development and sale of your intellectual property will ensure the highest rate of success in the marketplace and the lowest out-of-pocket costs to you – the inventor. Below, we will detail the most common procedures involved in effective PDM. You will learn how to save thousands of dollars AND create a more viable product, producing the highest possible return on your investment. Don’t I need a patent lawyer first, in order to protect my idea? Feasibility – Can your idea be produced AND provide an effective ROI? Don’t pay legal fees to a patent lawyer without knowing if your idea is even viable! Vallmar will give you superior guidance and support in this crucial beginning process. They will also share insight on realistic return on investment expectations. Did you know that with proper PDM and a viable product you can expect to recoup between 8-10 times your initial investments? Vallmar’s understanding of product development, combined with proven success helping inventors just like you, gives the security and assurance that honest, confidential and skilled professionals are working in your best interests. Cost Analysis – After Vallmar reviews an idea the inventor is provided with a detailed cost analysis. This will include cost to produce, targeted selling price of product, preliminary engineering – including a virtual 3D prototype of the product, and an electronic package that will help sell the product, without having to invest in costly prototypes. Protection – Now you need to protect your idea. Vallmar’s strategic partners and licensed patent lawyers will help manage and secure future success, guiding you through the patent pending process. A much less costly way to test your product in the market, a patent pending application is quick, easy, and provides the peace of mind you need. Maybe your product needs to be redesigned. Utilizing the patent pending process and strategic partnerships with patent lawyers, Vallmar guides inventors through this legal framework, saving their clients thousands of dollars along the way. How do I turn this into profit? The next step in product development and management connects your invention with potential buyers. These can range from large companies to targeted industries. Your PDM firm will help guide you to buyers and hands-on negotiations, taking your invention to market and giving it a fair chance of commercial success. Finally it is time to reap the rewards of your idea. Vallmar’s product management assures the highest ROI based on years of experience and success. With over 20 years helping inventors through this process, they will work just as diligently to make sure your idea is both feasible and profitable. After signing a confidentiality agreement with Vallmar your idea will be analyzed by engineers with a long history of developing and advancing successful ideas to Fortune 500 companies as well as hundreds of individuals and small companies looking to expand. So what are you waiting for? Don’t waste another penny. Vallmar assures the highest level of confidentiality and peace of mind, as well as a proven success record with over 20 years’ experience helping inventors just like you turn inventions into reality and profit. Take action today by calling Vallmar to discuss your options with an experienced Product Development and Management professional. An idea and a dream are all you need to get started. Let Vallmar do the homework for you. Vallmar Co, Stow, Ohio, 44224 USA www.vallmar.com, a product development and management company founded in 1984. Vallmar works with inventors to design, plan, develop, and validate ideas so they may be brought to market. 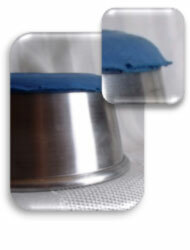 Vallmar clients range from individual inventors to large manufacturers and nationwide retailers. Stow, OH – The Easy View IV tube separator has received its clearance from the United States Food and Drug Administration. The FDA clearance is a sign that this IV organizer is a safe and effective tool for preventing dangerous mistakes and improving patient care. The use of IV tubes is an often overlooked, but crucially important aspect of care in hospitals. The process is made more complicated however when patients receive not just one or two IV lines, but potentially many different IV lines at once. This is a dangerous, confusing and inefficient form of care, and it has led to tragic mistakes and accidents in the past. The Joint Commission issued a report noting the “persistent and potentially deadly occurrence” of just such a mistake. Their recommendation to prevent these deadly mistakes was “labeling all tubes and catheters,” and that’s where the Easy View IV tube separator comes into play. Each Easy View IV tube organizer can hold and separate up to six IV tubes at once. This makes for easy labeling and identification, and ensures that the individual lines are never confused for one another. The Easy View is also manufactured in different colors, which can be utilized to instantly alert nurses and doctors to major allergies, pre-existing conditions or other need-to-know information in the heat of the moment. The Easy View IV organizer attaches directly to the patient’s bed rail with Velcro straps for quick and convenient access. Nurses and hospital caregivers will be able to take action more quickly and efficiently, while ensuring no dangerous mistakes are ever made. Registered Nurse Tammy Downs came up with the product after struggling firsthand with IV line confusion. She knows the difference that a high quality, effective IV tube separator makes. Not only does it make the jobs of nurses easier and more efficient, but it can also save the lives of patients. Nothing is more important than patient health, and Easy View’s FDA clearance ensures that it is recognized as a trusted, effective and viable solution. For more information or to place an order for the Easy View IV tube separator, visit EasyViewStore.com today or call 800.986.0795. Easy View is a patented and patent pending IV tube separator designed for safe, convenient and quick usage in hospitals. By organizing, separating and identifying different IV lines, nurses can avoid accidents, respond to emergencies in less time, and ultimately provide more effective care. Easy View was invented by Tammy Downs, an RN who saw the crucial need for an IV tube organizer firsthand. The Easy View can be customized with your brand in mind. To place an order or learn more about the product, visit EasyViewStore.com. Easy View is designed and assembled by Vallmar Co. (Stow, Ohio) with global materials. Have an idea for a new medical product design? 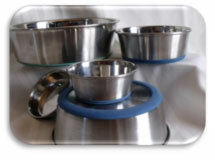 Vallmar produces and distributes low-tech medical devices and accessories. 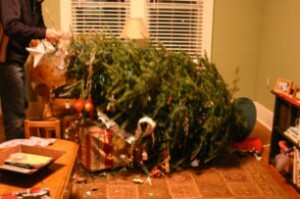 If you haven’t experienced it yourself, you know someone who has: the dreaded Christmas tree “fall.” It is often related to a live tree, but sometimes an artificial tree can take a spill, too. But, finding the right tree stand has been a challenge since the beginning of time. You have to find one that works with the tree that was selected this year, which might be twice or half as big as the one you had last year and different from the one you’ll find next year. Besides the fear of the Christmas tree support system, another problem we all deal with year after year is getting the decorations evenly placed throughout the tree, especially those on the “back” side of the tree, which may be in a corner, up against a wall or facing a window. We painstakingly wiggle the tree, spinning it around to reach just the right spot, often times shaking the needles off the tree or even knocking other ornaments off in the process. Paul Rahmer experienced both of these issues, and more, when it came to decorating the Christmas tree each year. After finally getting fed up with the whole process, Paul had an idea. And, once he saw it work for him, he knew others could benefit from the same solution. He began working with Vallmar Engineering to develop, produce and bring to market the ultimate Christmas tree stand. The Vallmar Engineering team started with a thorough evaluation of the industry, the competition and the opportunities for this new product. Vallmar helped Mr. Rahmer obtain a patent for the product and begin crafting 2-D and 3-D CAD drawings, which went through several variations before landing on the final product design. 1. Balance: Given the wide variation of sizes and shapes of Christmas trees, the Vallmar team had to take into consideration these variables, including height, weight and trunk size. 2. Mobility: The goal is to make moving the tree – either across a room or building, or spinning it during the decorating process – both simple and easy. “Simple” in that it couldn’t require several steps of a process; and “easy” in that the physical act of moving the tree couldn’t be difficult to do. 3. Flexibility: As with the balance issue mentioned above, the stand had to be flexible, so that it would be able to adjust year after year, no matter what size or shape the tree was. 4. Cost: Given all of the above considerations, the Vallmar Engineering team was charged with producing a product that would be affordable to the end user and seen as a value by the garden centers and interior designers who would be selling/using the product. The concept went through several stages before the final product design was determined. Each of these considerations was evaluated under different scenarios with the goal of creating a product that met the high standards of both Paul Rahmer and Vallmar Engineering. The solution was the Roll ‘n’ Lock Tree Stand…a sturdy, mobile, adjustable and lockable tree stand, which ultimately simplified the process of moving and decorating the Christmas tree. Perfect for the home, at the office or even in retail settings, the Roll ‘n’ Loc Tree Stand helps eliminate the fear of the falling Christmas tree and makes it easier to decorate the tree in those hard-to-reach spots. Vallmar Engineering provides sophisticated engineering and product development services geared to the needs of small and large industrial customers. To meet our customers’ product design goals, we address three interrelated issues: quality, delivery and cost. In some projects, we support in-house engineering staffs. We are also capable of carrying out every step of the product development and management process. Our innovative engineering services produce solutions such as power subassemblies designed at appropriate tolerances for efficient, cost effective manufacturing. 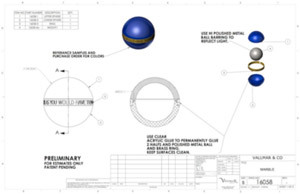 Focusing on production issues throughout the product design and development process, we create production-ready drawings and manufacturing manuals that reduce costs and time while improving quality and safety. Contact us to learn how our industrial engineering & product development services can increase your productivity and profitability. For years, hi-rail maintenance groups have struggled with the ability to efficiently and effectively perform maintenance and repair task – including both access to areas on and around the tracks and transportation of maintenance equipment to and from the area to be repaired/maintained. The same technology has been in place since the 1940s, and dependence on this outdated technology and methodology has cost the industry in financial terms as well as in a lack of consistency and reliability. In many cases, maintenance equipment and machinery are one-of-a-kind and custom-built, so reliability and consistency even among the equipment itself is not a given. One hi-rail equipment supply company decided there had to be a better way, and Vallmar Engineering was brought into the conversation with the goal of improving quality, increasing safety and decreasing costs when it comes to repair and maintenance in the high rail industry. The Vallmar Engineering team started with a thorough evaluation of high rail maintenance and repair to gain a full understanding of the existing challenged faced by the industry. Specially, the team was out to discover why this had not been addressed before and what were the costs and other barriers involved in maintenance of the current machines used in high rail repair and maintenance situations. 1. Everything was custom-built, which meant there was no consistency when these machines needed repair themselves – causing major issues related to both costs and time. 2. 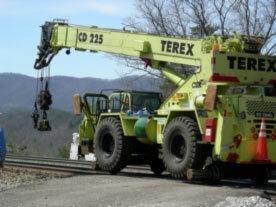 Outdated methodology held that the most efficient mode of transporting these machines to the repair/maintenance site was by rail – loading the machine on a flat rail car, transporting it by train to the site, working from the flat bed or utilizing a crane to move it to wherever it was needed, then doing it all over again to get it back home. 3. Because of this outdated methodology, then, the time and costs associated with even minor repair were far greater than they should be. 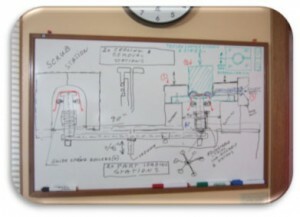 drawings enabled the Vallmar Engineering team to analyze a variety of possible solutions in a virtual setting, answering all the “what-ifs” that came up. This included consideration of the detailed safety and other industry regulations involved in such a project. All of this was done with the client’s goals in mind: improve quality, increase safety and decrease cost. 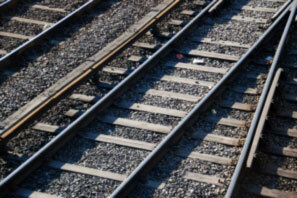 The solution was a friction-powered machine that works on both rough terrain and on rail. Powered by its own engine and rotation of the existing tires, this Friction Drive Rail solution allows existing machines to become rail-ready through consistent components and applications. It provides flexibility to adapt to the need – various capabilities and wide accessibility of the equipment and OEM accessories to fit the repair/maintenance need. In addition, this process also generated several future opportunities, as well, including hydrostatic-powered, hybrid system and all-electric solutions. 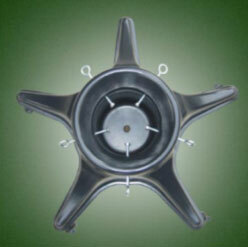 – The company obtained three new OEM designs and several new patents after working with Vallmar. – The company also decreased the machine’s delivery time from 20 weeks to 8 weeks. – Direct manufacturing costs for the owner decreased 30% because of the custom machine design work done by the Vallmar team. 1. The bowls themselves included their own inconsistencies – variations in the size and shape – thus causing each bowl to require its own version of the polymer add-on. 2. Because the application process was done by hand, each application was slightly different, which also lead to the polymer detaching from the bowl during shipping. The Vallmar Engineering team evaluated these challenges and uncovered several opportunities that could both improve quality and decrease cost. The team began by measuring and defining the variations across thousands of bowls to gain an understanding of the minute differences between each. 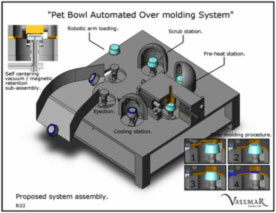 The consideration process also included an in-depth analysis of the polymer materials used and how best to adhere the polymer to the metal substrate (in this case, the pet bowl). Once these variables were taken into consideration, the production process was evaluated and options were laid out in order to create the most efficient and consistent machine to get the job done. Cost Analysis – evaluated various options and the cost of each. Materials Handling – considered the need for the metal substrate to be as clean as possible prior to polymer application; thus, a “scrub station” was included in the final machine. Ideal Temperature – another consideration involved the optimal temperature under which the most effective application of the polymer would take place to ensure adhesion; thus, a “pre-heat station” was included in the final machine. Curing Station – in order to ensure consistent and lasting adhesion, a vulcanized polymer was used, which is ultraviolet cured to prevent fraying of the edges. Flow Analysis – the Vallmar Engineering team was able to utilize virtual prototyping to see how the polymer would flow through the machine under different scenarios, and then optimize design to ensure the precise amount of material was used for each application. Flexible Design – consideration was given to the many variables in substrate sizes and shapes, which led to the inclusion of a collapsible core and articulated cavity in the “application station,” allowing for variation and flexibility. The solution was an automated over-molding system assembly that offered the flexibility to address multiple size variations but also ensured consistency throughout the application process. A collapsible core design was integrated in order to accommodate the variations in the substrate size; and an articulated cavity was included to accommodate the inconsistencies of the substrate itself. Ultimately, this technology provides a solution to diversified industries that need to fuse various polymers to metal substrates. Stow, OH – The hectic, high wire balancing act that is life as a nurse in a busy hospital should now get a little bit easier and more convenient thanks to the Easy View IV tube separator. Most importantly, treatment of patients will be safer, more effective and quicker than ever. The Easy View IV tube organizer is a straightforward, innovative way to help prevent dangerous mistakes and time wasting maneuvers in the hospital. The IV tubing holder separates different IV lines into different channels, making them easy to identify and work with. This allows nurses to respond to emergencies in less time, and with more confidence, while never putting the patient at risk by losing track of such an important, but oft-overlooked aspect of healthcare in hospitals, IV lines. At best, this clutter leads to delays and hassle. At worst, it can put the lives of patients at risk. Such a dangerous scenario unfolded when Jessica Blischke gave birth to triplets at Mission Hospital in California in 2010. In her interview with Good Morning America, Mrs. Blischke told the story of how her IV line, filled with painkilling opiates after a C-section procedure, was mistakenly given to one of her newborn triplets, a load 400 times the recommended amount for a baby. Her daughter Taylee turned purple, went slack and stopped breathing shortly thereafter. Luckily, doctors were able to revive her. But without the assistance of simple, intelligent products like the Easy View IV tube separator, it’s not the first or last time this sort of calamity will take place. The Easy View IV tube organizer can hold and separate up to six IV tubes at once. The product easily attaches directly to a patient’s bed rail with Velcro straps, and is completely disposable and recyclable, ensuring patient safety, hospital cleanliness and environmental friendliness as well. The Easy View IV tube separator can be purchased online at EasyViewStore.com, and more information can also be obtained by calling 800.986.0795. Easy View is an IV tube separator designed for safe, convenient and quick usage in hospitals. By organizing, separating and identifying different IV lines, nurses can avoid accidents, respond to emergencies in less time, and ultimately provide more effective care. Easy View was invented by Tammy Downs, an RN who saw the crucial need for an IV tube organizer firsthand. To place an order or learn more about the product, visit EasyViewStore.com. Stow, OH – Some of the most dangerous aspects of healthcare in hospitals are often also the most overlooked and disregarded, which creates an even greater level of danger and a larger chance of deadly accidents. Right near the top of the list is tubing misconnections, which the Easy View™ IV tube separator is designed to quickly and conveniently prevent, saving lives and improving hospital treatment. The Joint Commission has issued a report on tubing misconnections in hospitals and labeled the mishap as “a persistent and potentially deadly occurrence.” The report cited nine cases, eight of which led to death and the last of which led to permanent loss of function. According to the report, “Tubing and catheter misconnection errors are an important and under-reported problem in healthcare organizations.” Registered Nurse Tammy Downs saw the potential for danger and complications with IV tubes firsthand in her work, and took action by creating the Easy View IV tube organizer. The Easy View IV tubing holder can hold and separate six IV tubes at once, giving each IV line its own slot, and locking it into place. It easily attaches to a patient’s bed rails, and has space for labels on top of each IV line. 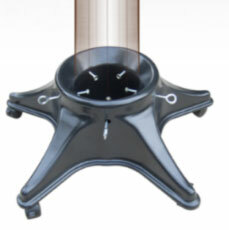 In addition, the Easy View IV tube separator also matches the second recommendation of “color-coding tubes and catheters.” The Easy View is produced in several different colors, and therefore patients can receive an IV tube organizer that instantly alerts all nurses, doctors and staff to any major allergies, pre-existing treatments or conditions and more, depending on the circumstance or desired meaning. Preventable mistakes should never happen, and certainly not when lives are on the line. That’s what the Easy View IV tube separator is designed for, as it instantly resolves the problem of tubing misconnections. For more information or to place an order, visit EasyViewStore.com today or call 800.986.0795.